Woodland School is a secondary school in Basildon, Essex, UK. 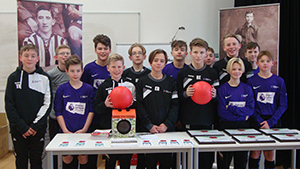 The school currently educates more than 1500 students from Basildon and South East Essex. 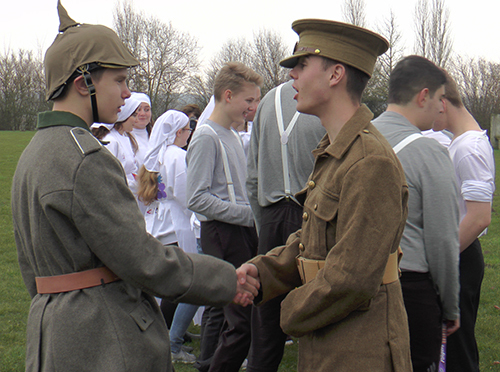 Woodlands School and Gesamtschule, Heiligenhaus, Germany re-enacted the 1914 Christmas Truces today as part of their commitment to The Peace Fields Project. The event was attended by special guest Alison Rose, British Ambassador to Belgium. 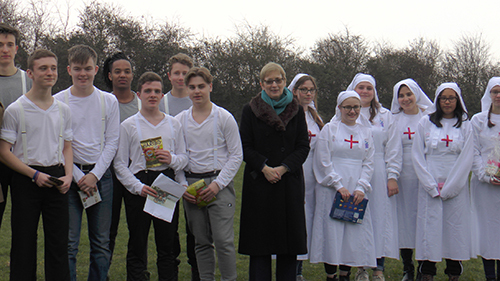 Alison said, ‘It is important that young people learn about The Christmas Truces. It is a moment in history that speaks to all cultures, young and old’. Organised by Forget Never – Sacrifice and Legacy, the event was covered by national and regional media. Alison Rose, British Ambassador to Belgium (centre) with pupils from Woodlands School and Gesamtschule, Heiligenhause, Germany. 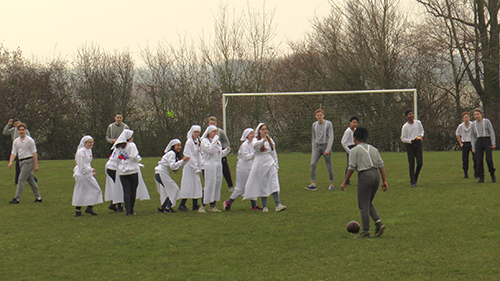 German and British pupils re-enact the 1914 First World War Christmas Truces in Flanders, Mesen, Belgium. 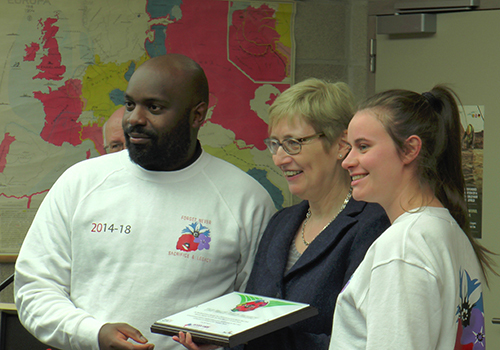 Woodlands School’s members of staff are presented with The Peace Fields Project plaque from Alison Rose, British Ambassador to Belgium. 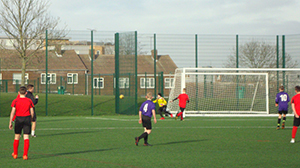 The PFP plaque signifies that Woodlands Peace Pitch is officially twinned with Flanders Peace Field, site of the 1914 First World War Christmas Truces. 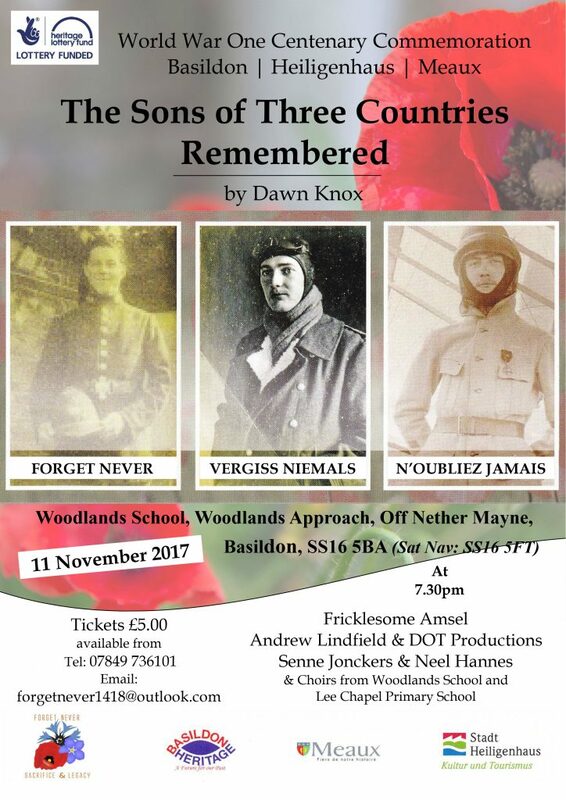 Organised by Forget Never – Sacrifice and Legacy, Project Manager, Bob Sheridan, The Peace Field Project (PFP) kicked off a series of events that will see Woodlands School twin their designated area of play with Flanders Peace Field, site of the 1914 First World War Christmas Truces. A PFP introduction to the Woodland School pupils was presented by Ernie Brennan, CEO, The NCFA.